Virginia has reached a deal to extend the 95 Express Lanes south toward Fredericksburg, a deal that includes a large enough payment from the private company building the lanes to support an additional I-95 northbound bridge over the Rappahannock River that VDOT had scrapped. RICHMOND, Va. — Virginia has reached a deal to extend the 95 Express Lanes south toward Fredericksburg, and the agreement includes a large enough payment from the private company building the lanes to pay for an additional I-95 northbound bridge over the Rappahannock River that VDOT had scrapped. Outgoing Gov. Terry McAuliffe told the Commonwealth Transportation Board Wednesday morning that the agreement to extend the lanes to Exit 133 for U.S. 17 includes no upfront money from Virginia taxpayers. The extension will add two reversible lanes, similar to the existing 95 Express Lanes. The private companies behind the lanes — Transurban — will pay $277 million up front, part of which will cover the northbound bridge over the river that VDOT had canceled last June. Like the additional southbound bridge planned in the area, the northbound span will provide through-lanes that connect to the Express Lanes, while the existing lanes of I-95 will become local lanes in an effort to reduce weaving in the area and speed up traffic. The funding is part of a deal in which Virginia gives up most rights to revenue-sharing payments a few decades down the line, which Transportation Secretary Aubrey Layne said is a good way to ensure that Virginia gets value from the project. Layne also partially made that decision in his new role of finance secretary for the incoming Northam administration. Virginia expects to be paid $45 million next year – that funding will be tapped to help build the bridges over the Rappahannock connecting the exits for U.S. 17 and state Route 3. Remaining funds could be used along the entire corridor – from Fredericksburg to the Pentagon – because the money stems from tolls collected along the entire stretch of the 95 Express Lanes. 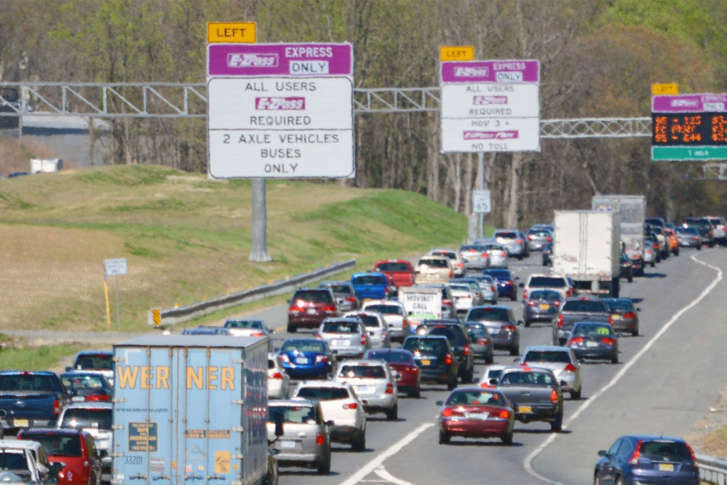 The Express Lanes extension from just south of Garrisonville Road to near Falmouth has been going through a series of studies, public comments and approvals for years that had it on track to open to drivers as early as 2022. The 2022 deadline is now firm as part of this deal, Deputy Transportation Secretary Nick Donohue said. The one-lane extension past Garrisonville Road that opened this fall will also be widened to two lanes. Grading work for that widening has already been done. VDOT has already begun related work on some interchanges along the corridor.